It’s been a while since I last posted something. But since I’m holidaying in Lisbon and have some time on my hands, I’d thought I’d write a tale in several installments for the duration of my stay. I don’t know yet where or how it’s going to end, but expect a story that is halfway between a travelogue and a murder mystery. Enjoy! Don’t believe a word I say. Not a sentence. Not a letter. Not a question mark or comma. I am what novelists would call an ‘unreliable narrator’. And I should know. I am a writer myself. If I told you these words were written on my brand new laptop, in an airport lobby – luxury handbags to the left, the odour of freshly cooked lobster and clams to the right, an endless stream of families in between, scurrying off to the sun, deluding themselves they’ll escape the rat race, even if it is for just a long weekend – I’d urge you to take it with a grain of salt. Chances are I’m sitting at a dingy table in a fixer-upper hotel, my back hunched, toiling over an antique typewriter, in desperate need of a new ink ribbon and incapable of hammering an L or Y to the paper. I have been called in the past a liar. A cheat. A coward. A scoundrel. A mythomaniac of epic proportions, tripping up the truth one sentence at a time. I have been, since I can remember. My earliest memory – I must have been three or four – was a con. The victim? My older sister. Rhonda – an ill-advised name if you take in she was adopted, Japanese and at five years still not fully capable of saying the first letter of her name – was smothered so much by my parents that she unwittingly provoked a serious bout of jealousy from my part. She was quite naïve, infinitely more so than me despite her advanced years, and had somehow got it into her head that magic was real and that if she just found the right abracadabra she’d be able to fly. My parents intervened before anything serious could happen, grabbing her just before she was going to throw herself off the tall granite staircase in our house, yelling – three times in quick succession – ‘Ablabab Mordo Condo’. Had I been older than her, I would probably have been grounded for most of my pre-adolescent life. But I was younger and aided by a well-placed tear and pouting lip and lots of fake earnestness my parents concluded that it must have been someone else who whispered the dangerous three words into Rhonda’s ear. If only they had seen the beaming smile on my face once they turned their backs. I was three or four and I was hooked on opposing the truth. In the years since I have only perfected the illusion of the genuine. To such an extent that I myself am often no longer certain if the tale I tell did actually happen or if it was conceived somewhere inside the most nefarious corridors of my imagination. So, for arguments’ sake, let us assume that I am indeed sitting in an airport lobby, on a curvy sofa, a laptop on my knees. And let’s say I’m pondering at last the consequences of my life of lies and the inevitable punishment that is bound to follow. I’d like you to be my confidante. And bearing in mind my penchant for distorting the truth, I want you to be continuously on the lookout for any holes you can punch into my tale. Do not trust a word I say, I implore you. Except for this, for it is the truth. I killed a man in Lisbon. I’m curious about this resurfacing, buddy. Did you write at all for the last few months? Like journal or anything? Glad to see that you’re back and didn’t off yourself. ‘At a boy. Glad to hear it. I’m back at a full-time job again myself, and as soon as the next great American novel enters my brain, I think the blogging will have to step aside as well. Good luck with your book. Has the lure of a classic mystery. Continue, by all means. Happy to see you back! Sounds like an interesting story you’ve concocted. I haven’t even read it yet, but I’m already excited that you’re posting again — yea! Dieter, so great to have you back. 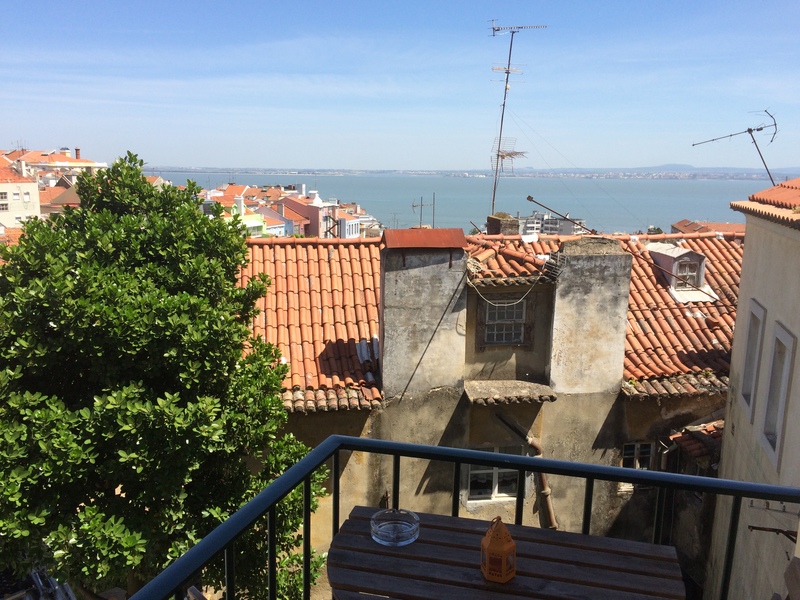 Enjoy Lisbon…. A most welcome surprise to have this new story from you, Dieter! Looking forward to the next installment(s) …. If there’s someone who can write fiction ss good as you, I’m sure I haven’t read it.